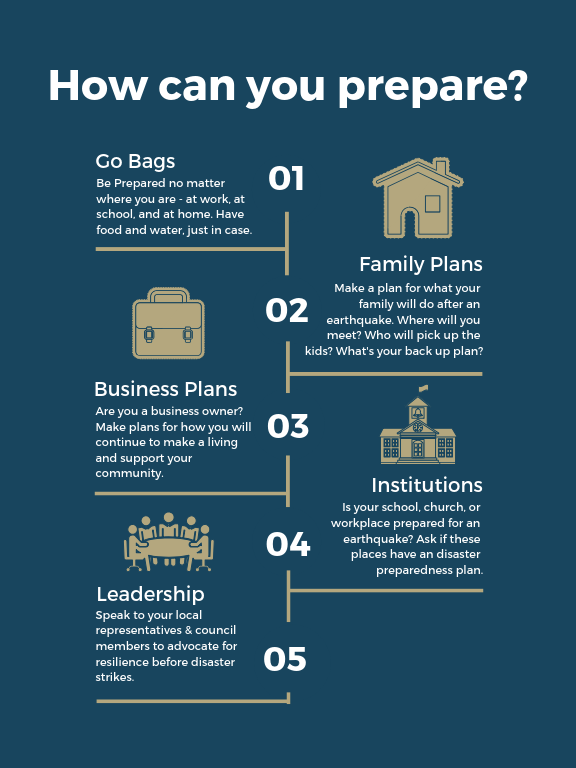 How prepared are you to survive and recover from the next Cascadia Subduction Zone Earthquake? According to geologists at OSU, there have been 28 earthquakes over 8.0 magnitude along the Cascadia Subduction Zone (CSZ) in the past 5,650 years. The average interval between earthquakes has been roughly 202 years. However, the last major CSZ event was 317 years ago on January 26, 1700. The only longer interval on record is 330 years. The good news: we still have time to prepare. With proper action, the whole Cascadia Region can dramatically improve our chances of survival as well as decrease the recovery time after the next CSZ event. It is Cascadia Prepared's strong belief that protecting our critical infrastructure from collapse is a first priority in the path toward preparedness. A speedy recovery for our community, our economy, and our livelihood largely depends on the resilience of our complex "lifeline" infrastructure. Lifelines like our roads, energy sources, and means of communication will be key pieces in the post-disaster recovery. 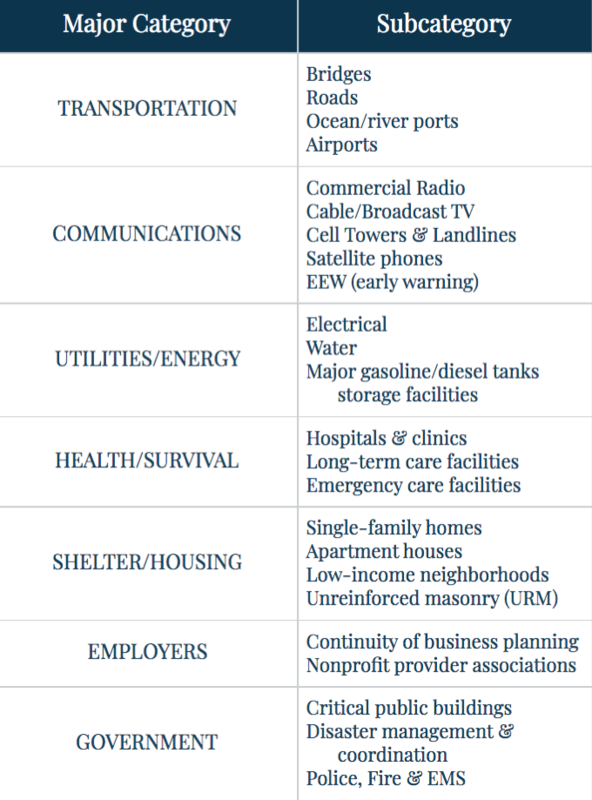 To the right, you'll find a table with some of the major categories and subcategories of this infrastructure. The Cascadia Earthquake Resilience Scorecard is a CPrep project working on the development of a research-based assessment tool that will be used to evaluate the resilience of these lifelines. The main purposes of the scorecard are: (1) to compile data about the resilience status of each lifeline; (2) to develop metrics for grading their condition; (3) to aid in communicating conditions to the media, public, and policymakers; and (4) to motivate greater resilience-building action across the region. Cascadia Prepared hopes that this assessment tool will spur more effective actions by the public sector, businesses and residents to reduce vulnerability. If you would like more information about our Cascadia Earthquake Resilience Scorecard, click here. If you have expertise or interest in any of the scorecard's categories and want to volunteer with us, we'd love to hear from you! Fill out this form and let us know how you'd like to help! There are many helpful resources out there, but this can make the process of preparing a little overwhelming. Cascadia Prepared is working to create an easy-to-understand, condensed handbook for you and your family to reference as you start preparing your household. This will include guidance on emergency scenario meeting plans, lists for go-bag supplies, safety practices, and more. We have compiled the information and now have Christian Wihtol, former editor for the Register-Guard, to help our team create the content. The handbook will take several forms geared toward multiple audiences so that we can ensure inclusivity of our materials. Once we finish the handbook, it will be posted as printable PDFs here on our website so check back soon! Following the link to "Our Projects" page will give you an in-depth look at this project including information on how to obtain your own copy of the handbook once it's been published. Our projects take a team of motivated individuals. Does this sound like you? If so, let us know! We'd love for you to volunteer with us! The Scorecard Project is a "big picture" assessment project that will require the work and insights of a large team. If you have an interest in research and analysis, we need your help. If you have an interest in transportation, we need your help too. If you are passionate about housing, communications, healthcare facilities, or infrastructure, then we need your help also! Click below to tell us you want to be involved. 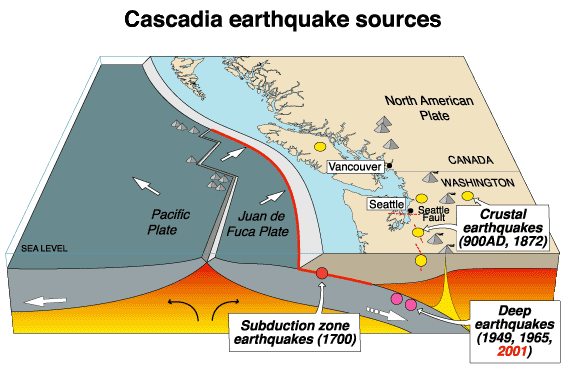 The last Cascadia Subduction Zone (CSZ) earthquake occurred on January 26, 1700. At our suggestion, local and state leaders like Kate Brown and Lucy Vinis have officially recognized this date henceforth as Cascadia Earthquake Preparedness Day! The attendance at this year's CEP Day events showed an overwhelming amount of support from community members and leaders alike. We look forward to seeing you at events like this in the future, so check out our calendar below! Get your group prepared. Our President, Steve Robinson, would love to come chat with your business, group, or organization about the risks of the CSZ activity and first steps in becoming prepared and resilient. 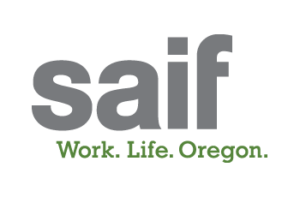 In addition to Cascadia Prepared presentations, we would love to help you schedule a Prepare Out Loud workshop in your area! To schedule a presentation, click below to email Steve!